Activated a droid phone on an existing Verizon account. 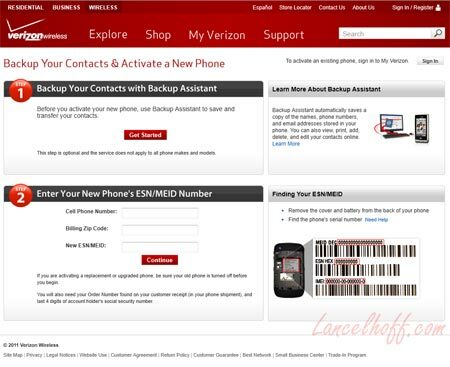 Activating a replacement droid phone you purchased on eBay or elsewhere “with a clean ESN” on the Verizon network, is relatively easy… thanks to an intuitive activation page created for existing Verizon Customers. You simply provide the ESN number of the new device, your current wireless phone number, and zip code and you’re good to go. Simply click the image above to be taken to Verizon’s activation page, and follow the onscreen instructions!